As Spring blooms, and the windows crack their seals to let in the beautiful air, creativity blossoms in this home. There’s something about this time of year that spurs me on. Spray paint cans find their way out to bring new life to my trash to treasure finds, old recipe books are dusted off to reinvigorate our meal plan, and even my exercise regiment (or lack there of) starts anew. With Easter already upon us, I’m spurred on to find one new thing to add to our Easter meal plan. The annual brunch we host always looks the same in the meal department. 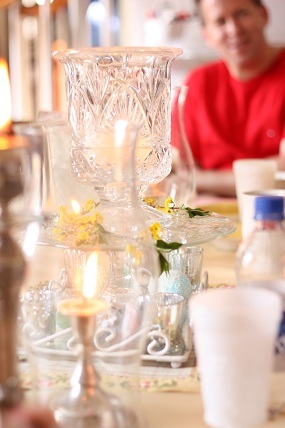 In fact, by choice, it’s come to signify such a cozy array of all our favorite foods, that even though we unexpectedly had to change our Sunday brunch to Saturday evening, I requested we stay with all our Easter meal favorites. But my desire is to always put some new twists on our day, and I am still searching for just the perfect thing. Every year, our famous Easter Egg-stravaganza creates a host of laughter and memories. Last year, the new tradition I added was having the kids share funny Easter Jokes. What made it funny was the delivery, not necessarily the silly jokes. Since 2009, a dessert twist I have started is trying new creations of trifles. 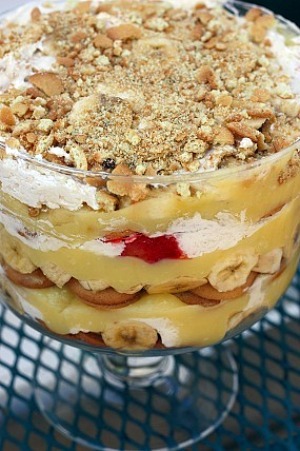 In my opinion, the trifle is one of the easiest way to create a beautiful presentation and picking up a trifle bowl is as easy as scouting your nearest thrift store. My recent shopping trip may have made my decision for me this year. Since I just made a day trip to the Tanger Outlets, and of course, my favorite Pepperidge Farm “Thrift Store“, I am stocked up on Milano cookies. I think a Homemade Chocolate Mint Trifle is in order this Easter. With Homemade Mint Chocolate Pudding, whip cream and layers of Milano’s, I think I could start something addicting. 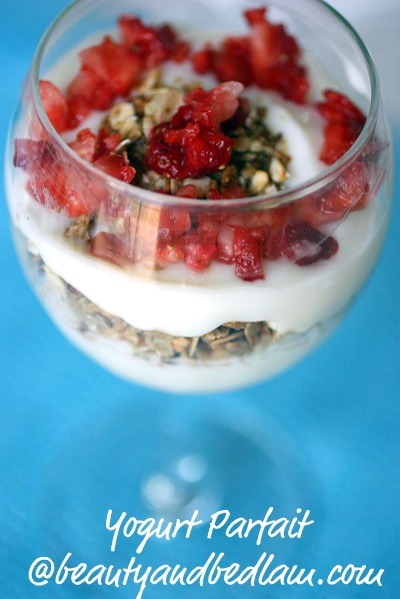 To offset the chocolate, I may create a homemade granola yogurt trifle, a take off from my granola yogurt parfait. If there’s one new recipe I suggest you add to your Easter brunch menu, it’s my Easy, yet Elegant Pear Torte. You will be forever grateful, I promise. This picture is a poor representation of its deliciousness. So here’s just a sneak peak of what’s coming up this week on my blog. 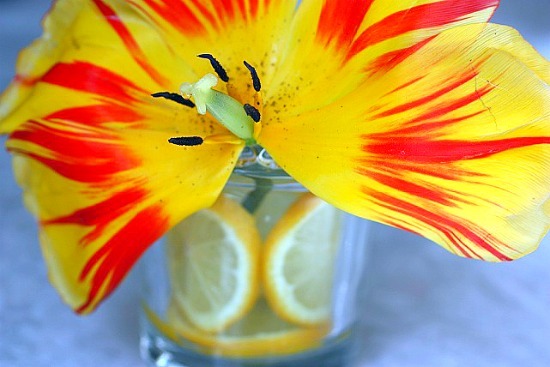 I’ve had fun with painting and creative ideas where you won’t have to spend a dime. 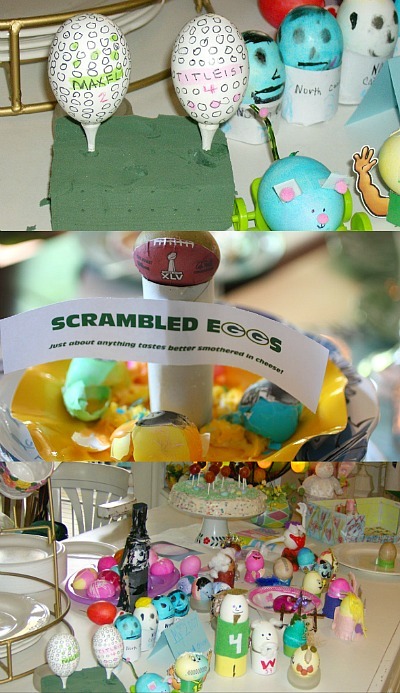 You all know how I love to create tablescapes on a budget, well for this weekend I will have fun playing around in the next few days, and I have lots more fun and frugal Easter ideas to share. 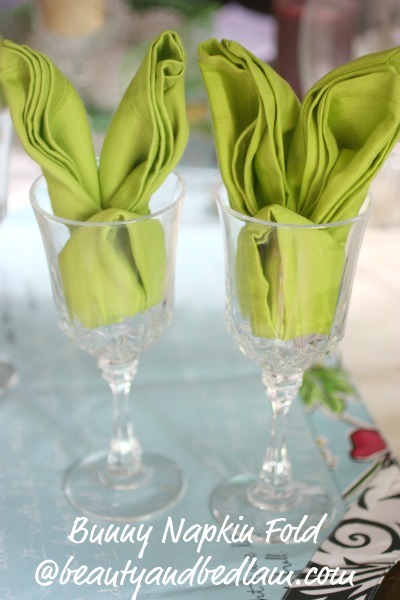 I’ve already created a video on how to dress up your table in seconds with unique napkin folds, but these bunny ears are too cute, and I will give directions tomorrow. So, I need to think of one thing to add to my Easter Menu. We already have Hashbrown Casserole, Egg Dishes galore, Strawberry Stuffed French Toast, Homemade Cinnamon Rolls (Copycat Cinnabon), Resurrection Rolls or Homemade Butterhorns, Bacon of some sort ( cooking bacon in the oven to save time, of course) and various fruit salads and appetizers. Do you have one amazing recipe that would be perfect for a brunch? I’d love to try one new thing. What do you do for your Easter meal? If you don’t want to miss any of the fun ideas that I will be sharing this week, feel free to pop back here to the blog or receive daily updates by email. So, it’s time for you to share your Tasty Tuesday Parade of Food Ideas. I know I will be able to scan that list for some great meal plan ideas. I saw the cutest thing on Pinterest the other day where someone made fruit skewers with donut holes skewered in the mix as well! That would be so cute and easy! I would love to give credit where credit is due, but my work blocks Pinterest, so I can’t look up where it came from. We posted our Easter menu earlier this week – and if you are interested in a new dessert, I recommend the whole wheat carrot zucchini cake with cream cheese frosting from that menu (you can find the recipe here: http://joyinmykitchen.blogspot.com/2012/03/easter-menu.html). I love your bunny napkin fold! This is the first Easter that I’m really preparing an Easter meal. We’ll be having ham, potato salad (which is so not on our Paleo diet, but we’re allowed to cheat on Easter, right) and green beans. We’ll probably have fresh berries with homemade whipped cream (another cheat) for dessert. Fairly simple. 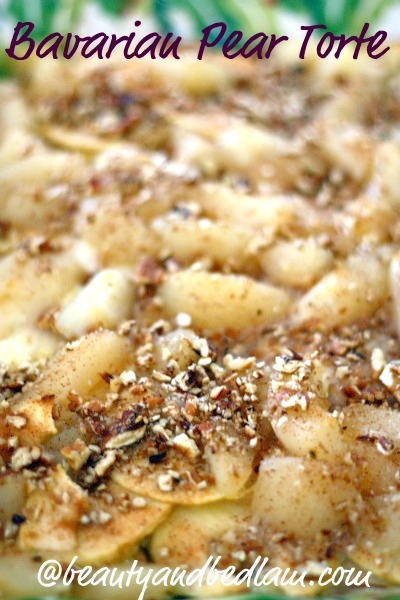 The potato salad recipe is my grandmother’s and it is the best!